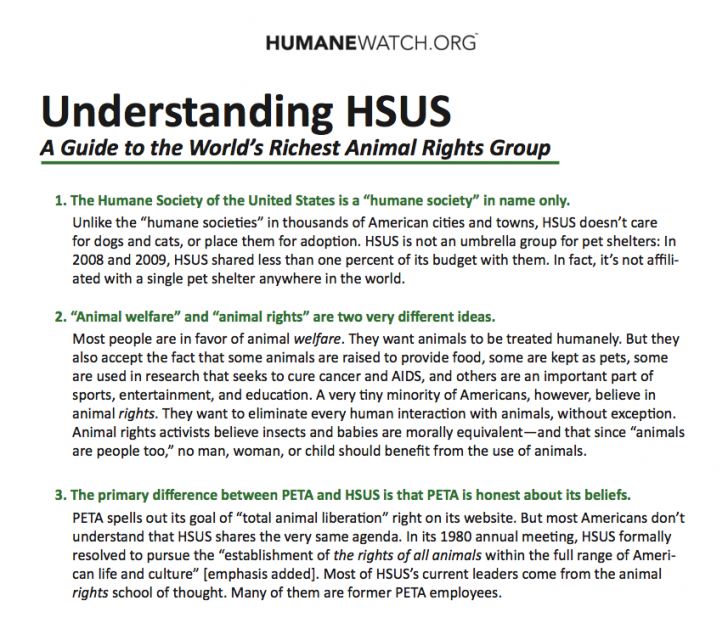 This is “Understanding HSUS” (version 1.0), a free handout from HumaneWatch. 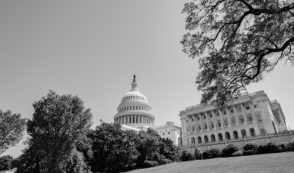 It includes eight things everyone should know about the Humane Society of the United States and the animal rights movement in general. Permission to reproduce this handout for educational purposes is granted, provided that it is not edited in any way. The Humane Society of the United States is a “humane society” in name only. “Animal welfare” and “animal rights” are two very different ideas. 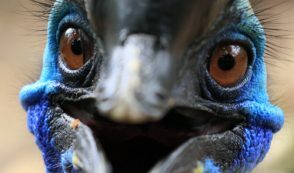 The primary difference between PETA and HSUS is that PETA is honest about its beliefs. PETA is increasingly irrelevant; its main purpose is to make HSUS appear moderate by comparison. HSUS’s CEO is an outsider, not a stakeholder, in how farm animals are cared for. Many Americans are in an endless war with HSUS—even those who don’t want to be.